"A new generation of innovative protection"
Until the Provincial minimum wage rises to $14.00/hour, and $15.00/hour in 2018. Don’t wait and make the switch to Interforce International Security now before it is too late! Interforce Internatonal Security is a fully licensed, bonded, insured, and award winning security guard and investigations firm located in Toronto, Ontario, Canada. Dual licensed by the Ontario Ministry of Community Safety and Correctional Service, we at Interforce International Security are committed to providing exceptional security detail for businesses and communities in need of physical security guard protection services and remote CCTV camera monitoring services in order to secure your property from fire, theft, trespassing, vandalism, and other illicit activity which may pose a threat to the safety and well-being of everyone who lives and works on site. 2428 Islington Avenue control centre in Toronto: Our 24 hour control centre provides live CCTV Video Surveillance monitoring services, armed with video analytics to detect and deter illegal activity. Our CCTV analytic operators detect trouble at its earliest stages, and dispatch the necessary resources needed in order to neutralize the threat. 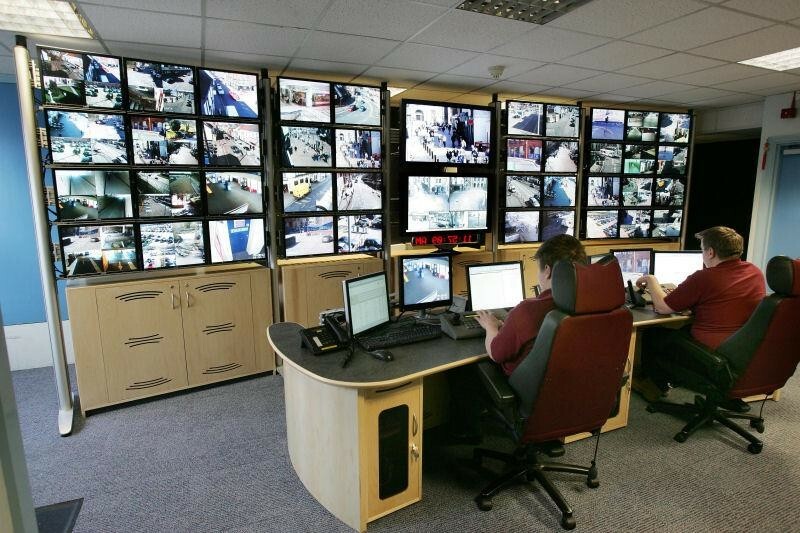 As one of the leading video surveillance monitoring companies in the nation, we provide round-the-clock, uninterrupted monitoring by integrating advanced technology. We see trespassers hoping over the fence into your property, vandals setting bond fires, or thieves up to no good. We see it all through our high definition cameras. We can analyze live threats in real time. Depending on the severity of the breach, we have several security protocols to neutralize securit threats we see from our cameras. We can dispatch a variety of response services, such as EMS, fire, Police, and even our own mobile secuirty response team to neutralize the security threat. Full turn key security solutions! Interforce Security Protection’s security operatives will protect all life, property, and data by enforcing the Trespass to Property Act and the Criminal Code of Canada. 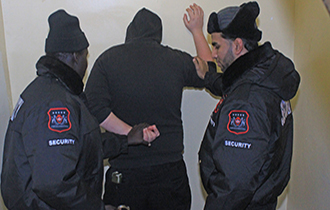 Our security guards are trained professionals who are knowledgeable in many laws, acts and regulations in regards to criminal law, the TPA, and building regulations and bylaws. By providing a strong security presence, Interforce Security Protection will combat criminal activity to restore order, ensure all residents, employees, and customers feel safe at all times, and most of all, make everyone feel safe and secure. Our emphasis on customer satisfaction includes providing warm reception to all residents, guests, and employees.